As the leader of the Berlin Philharmonic, Herbert von Karajan made an indelible mark upon classical music as he brought a rich, precise sound to one of the world's great orchestras. 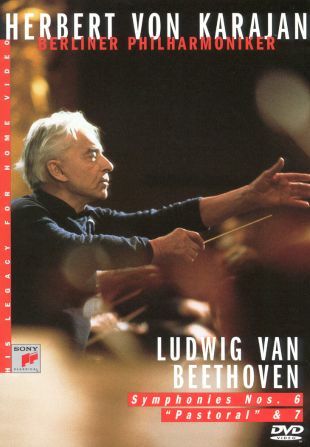 Herbert von Karajan -- His Legacy for Home Video: Beethoven Symphonies Nos. 6 ("Pastorale") and 7 preserves two superb performances by von Karajan as he guides the Berlin Philharmonic through two of Beethoven's later symphonies. These performances, recorded in 1982 and 1983, were among von Karajan's few performances to be recorded using digital technology.